Today is United Nations International Day for the Eradication of Poverty. Peter Kelly, director of the Poverty Alliance, said: “The massive and growing gap between the richest and poorest in Scotland is damaging society as a whole. It doesn’t have to be like that. Poverty is created by the decisions we make as a society." Nearly 200,000 children in Scotland are living in poverty. UK welfare changes will push at least another 50,000 children into poverty by 2020 if they go through as planned. In Glasgow, one out of three children live in poverty. In Dundee, West Dunbartonshire and North Ayrshire it is around one in four. Across the country the figure is nearly one in five. A boy born in the most deprived 10% of areas has a life expectancy of 68: 8 years below the national average and 14 years below boys born in the least deprived areas. Since 2008, the number of people in poverty who are working has risen from 255,000 to 280,000. Since 2008, the number of under-25s who are unemployed has almost doubled to 90,000. The number of people working part-time, who want a full-time job, has risen from 70,000 in 2008 to 120,000 in 2012. 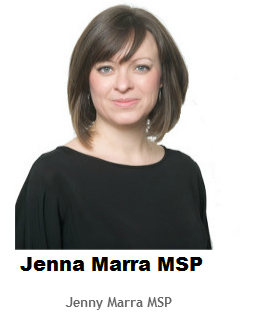 For every full-time vacancy at Jobcentres in Scotland, there are eight claimants of Jobseeker’s Allowance in Scotland. In West Dunbartonshire there are 40 claimants for every full-time vacancy.